We had great participation for our 15th book swap this time with a theme of "Fits in an Envelope." I look forward to sharing with you the creative entries we had over the next couple of weeks. This book is a small, pamphlet-stitched notebook. It's sewn with white linen book thread and has 20 pages (40 front and back) of hand-cut paper. I designed an Art Deco/Art Nouveau motif for its covers, including a chevron pattern on the inner covers. The covers are printed in house on a thick cardstock. 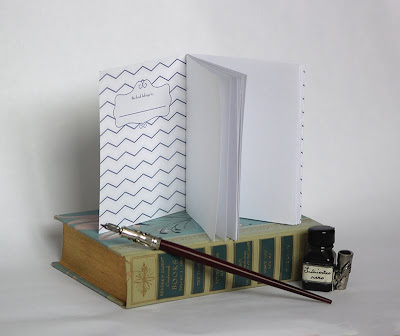 It's perfect for on-the-go lists, notes and sketches. At 4.25 x 5.5 inches, it's very portable and can easily fit into a purse or bag. It would be great as a gift or just for everyday note-jotting. 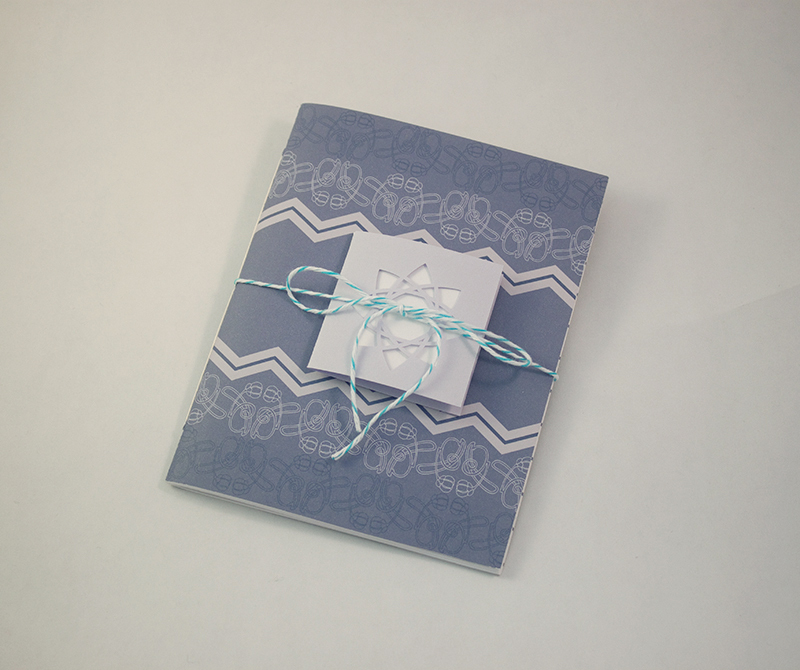 Katie's handmade books and laser-cut cards can be found in her shop here. The Art Deco motif is lovely! And I really like how Katie set up the second photograph! The pattern on the paper is great! Just remembered to check the blog for all the fun spring swaps. Thanks everyone for your compliments on my book!